The Internet has opened avenues for the entire world. There are so many people who are hyperactive on various social media platforms. 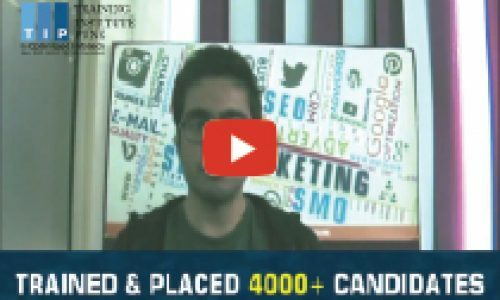 And to target these leads you need a Digital Marketing Strategy and it to get in-depth training, you must choose the Best Digital Marketing Institute in Pune which is – Optimized Infotech(OI). With more than 11 years of experience, our Digital Marketing Certification Course imparts all the requisite to become a successful marketer. 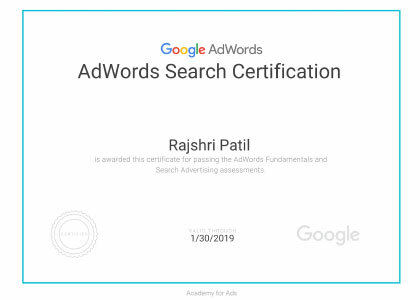 Moreover, we have Google certified instructors who will not only share their expertise and knowledge but also help you to prepare for your dream jobs. Optimized Infotech is always there to help you in getting the Best Digital Marketing Training in Pune on the subject of Internet Marketing as per the current market demand. We offer some of the most relevant and authentic courses on this topic that can help you to understand the same in an easy manner. You can learn the most advanced methods of Digital Marketing and know how to deploy them for the proper augmentation of a business. Our course covers all the aspects that help to bloom your business and career. We impart lessons on online promotion and ways to utilize your expertise to carve profit of your business. Also, we teach ways to come up with an online strategy with the help of 40 modules and various digital marketing tools. Alongside, we give free access to learning resources wherein you strengthen your skills efficiently. The course also comprises of the live project which gives hands-on experience to our pupils. Above all, the fee structure of Digital Marketing Courses in Pune are affordable and timings immensely flexible for every student to avail our course. 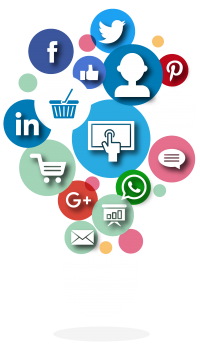 We are the leading Online Marketing Institute in Pune as well as Pimpri- Chinchwad. We have been serving this industry for Last 11 years. We have some of the most talented, highly-qualified and Google certified trainers of this subject who can help you to know the best and most advanced parts of online marketing in the easiest way possible. Our training helps you to fix your target while applying Digital Marketing methods. Once you know what should be your goal in business, then you can understand how to reach the same. The training we offer helps you to achieve both. We provide the latest updates on the subject of digital marketing. The faculties will share the information with you on the most recent happening in the world of digital and social media. We offer training to the people who have the aim of pursuing a great career in the Online Marketing field. At the same time, we offer training to the people who like to deploy these techniques for the augmentation of their own business. That means both the digital marketing professionals and the entrepreneurs can get training from Optimized Infotech. We offer certificates once you complete the training in a successful manner. 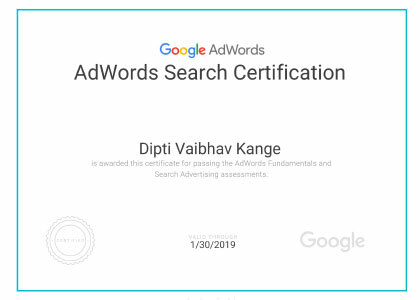 The certificate can help you to prove your excellence and skill as a Digital Marketing expert. Search Engine Marketing (SEM) – through sponsored advertisements, you can boost the visibility of your website. Social Media Marketing (SMM) – using social media channels – Facebook, Twitter, Instagram, LinkedIn, etc., for brand promotion. Search Engine Optimization (SEO) – it’s an organic way to boost the ranking of your website on various search engines like Yahoo, Google, Bing, etc. Web Analytics – it’s a classic way to analyze the traffic, behavioral pattern of visitors, conduct market research to boost the visibility of the website. Mobile Marketing – a section for mobile fanatics where you keep your prospects hooked with information and updates through smartphones. Email Marketing – drafting newsletters, channelizing periodic email campaigns are some of the aspects included in it. Content marketing – writing unique content through articles, blogs to attract visitors. Our instructors are the soul of our Digital Marketing Institute in Pune and so we have well-experience and well-qualified instructors. 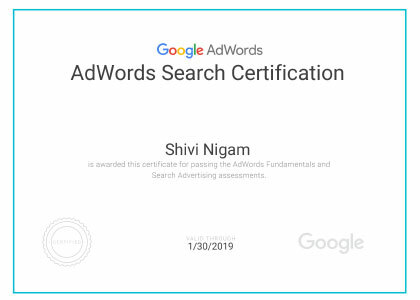 Moreover, our instructors are Google certified with ample knowledge about the nuances of digital marketing. Most importantly, our instructors are working professionals who have earned accolades in their respective corporate life. Besides being readily available they also motivate students from time-to-time, especially while assisting for placements. Apart from this, we also have industry experts on board. These experts impart some important lessons about the phenomena of the industry to make you well aware of the situation beyond. 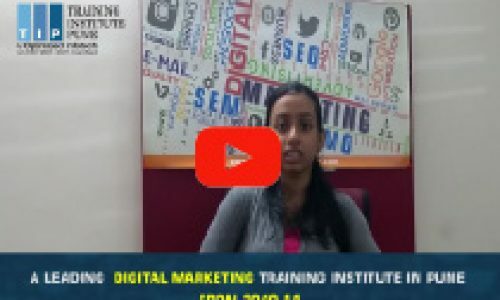 Looking For BEST DIGITAL MARKETING COURSES in Kothrud? SCHEDULE A FREE DEMO SESSION NOW! The lectures conducted by Atul Sir were very interactive & were always set upon with real-life examples. He used to listen to all the questions patiently & answered them well. Batch timings are also suitable. Sessions missed could be covered in another batch. 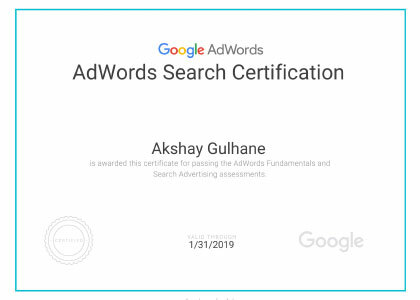 Optimized Infotech for Digital Marketing course has turned out to be a very important milestone in my career. Optimized Infotech doesn’t only provide Digital Marketing courses but also act as a mentor where they guide you in all possible aspects like training, Google Certification and interview preparation. Atul Sir has always been very supportive and guided me. Teaching methods are excellent where they provide both theoretical and practical knowledge. They use unique and latest way of teaching. Milind Sir makes learning fun by providing real-life examples. They have a great sense of humor where every insight is discussed. Optimized Infotech came out as a perfect institution that has met my expectations as they have the best of all in terms of training, modules, fee structure, and trainers. 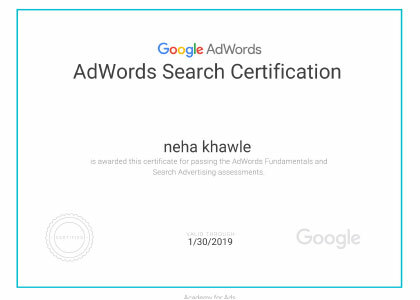 The moment I finished my graduation, I was looking forward to do a course in Digital Marketing as it has a wide scope. The decision of doing a course in Digital Marketing made me land in Optimized Infotech, a training institute for Digital Marketing Course. I successfully completed my course and I got an instant placement with my kind of profile and package. I was really confused by the thought of choosing the best Digital Marketing Training Institute. 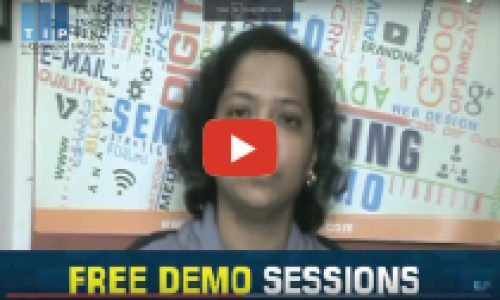 Then I heard about the free demo session at Optimized Infotech where apart from showing the syllabus and insights of the course modules, Milind Sir cared to know and understand my expectations from digital marketing course and my future plans. Optimize has friendly teaching environment with a very professional attitude. It stands out among many other Digital Marketing Training Institutes who claim to be the best. Chaitali Mam has taught me and she has been very supportive. Her teaching skills are highly professional & she makes sessions very interactive. Best experience & a good decision to join this Institute. It is a great institute to undertake Digital marketing course. Before joining the Institute I used to work for a Company but then I realized I was lacking in knowledge about many tools and was unaware of many things. 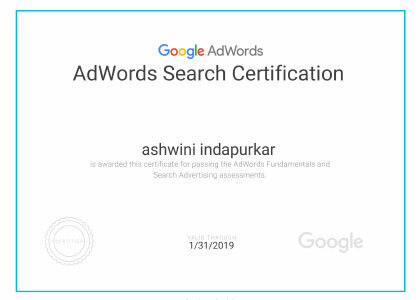 So one of my close friend recommended me Optimized Infotech training institute for digital marketing course and now I can see the difference in my skills. I joined Optimized Infotech training institute in Pune for Digital Marketing Course. They provide both Practical and Theoretical knowledege. After my course completion, they helped me with placement too. The trainers over here are all Google Certified trainers with years of experience. The Institute is full of positive vibes and good learning environment. 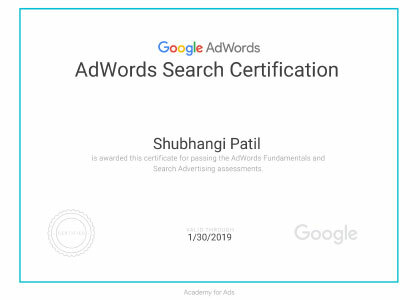 The best place to learn digital marketing. Here you will get real-time experience and end of the day you can choose your company that much of confidence you will get completion of course, please don’t miss a single class also. All the classes are very interested and very useful and all the teachers are giving more exposure. Thank you Milind sir and team.